CALAMITY JANE: THE LIFE AND LEGEND OF MARTHA JANE CANNARY by D.J. Herda. Published by Rowan and Littlefield, April 2018. She was born May 1, 1852 near Princeton, Mercer County, Missouri. Her father was a gambler, her mother was a prostitute. Martha ended up being the eldest of six children born to Robert and Charlotte Cannary. In 1866, Robert pulled up stakes and took the family to Virginia City, Montana. Charlotte died during the journey, near Blackfoot, Montana. In 1867, Robert took his children to Salt Lake City, Utah, where he became a farmer. He died from pneumonia in 1867. Martha and her siblings were on their own. At 14 years of age Martha and her siblings traveled to Fort Bridger, in Wyoming Territory. Shortly afterwards the little family moved to Piedmont, Wyoming. Around 1874 Martha began working, variously, as a dance hall girl, nurse, dishwasher, cook, laundress, and freight driver. It was also during this time that she occasionally worked as a prostitute. It was also during this time that Calamity Jane was born. 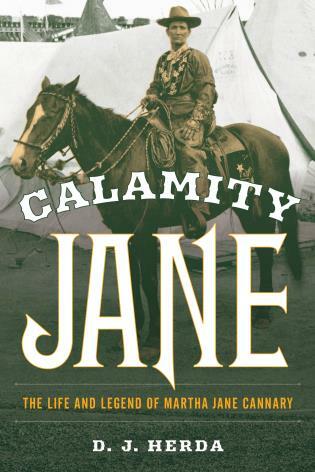 Calamity Jane claimed to live a sensational life as an army scout, gold miner, and Indian fighter. She claimed several “husbands” over the years, most notably Wild Bill Hickok. She gave birth to four children. She starred in Wild West shows, journeying to places as far away as Chicago and further east. She claimed she spent time in Texas, Arizona, and New Mexico. Still, she always returned to the Black Hills, where she died on August 1, 1903. She was only 51 years old, yet she looked 30 years older. Photo courtesy of D.J. Herda. Calamity Jane was a raging alcoholic, given to telling tall tales about her life in the American West, and to violent outbursts when she was on a bender. Still, she never backed down from a fight, standing up to any man, or to society in general, when either attempted to belittle her. Martha Jane was a woman with a tender heart, especially when it came to small children, and even more especially when those children were orphaned or otherwise abandoned. Martha was the one who could turn aside the bottle, when necessary, and nurse entire families of strangers through smallpox or other highly contagious diseases, with complete disregard for her own safety. Calamity Jane was always being kicked out of town for her drunken, disorderly conduct; yet Martha Jane was always first in line when a person, or a family, needed to be nursed back to health. Martha Jane was physically abused by men she knew. Thus, Calamity Jane was born. She arrived at a time and a place where there were few legitimate opportunities for women in the American West, so Martha invented Calamity, the rough and tumble woman who dressed and acted like a man in order to survive in a man’s world. She has also proved to be an elusive individual. She was an itinerant character, so official records about her are scant. D.J. 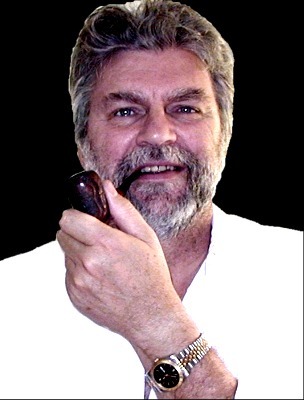 Herda has woven his story, primarily, from newspaper accounts of the exploits and misbehavings of Calamity Jane. Calamity was shunned by polite society and, as she neared the end of her life, by most newspaper editors. In turn, Calamity shunned reporters, as most were often quite cruel to her. Some things never change. “Calamity Jane” seems to be a proper moniker for a woman whose life was tough, literally, from the day she was born until the day she died. At the same time, she was a survivor.